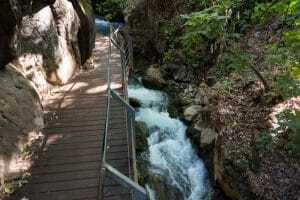 The Bnaias nature reserve holds an abudance of water and Israels largest waterfall! 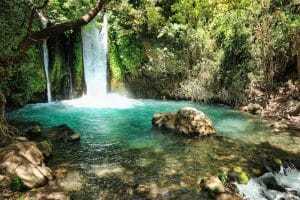 Enjoy the rushing water and explore the trails and the mysterious ruins from King Herods temple.The Banias Nature Reserve contains an abundance of natural and historical beauty, from the ruins of ancient cities to the roaring Banias Waterfall – the biggest waterfall in Israel. 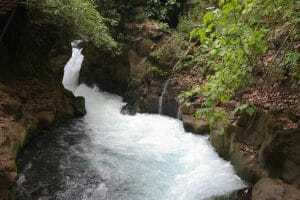 Found in the Upper Golan between the fertile Hula Valley and the Mount Hermon mountain area, the Banias is a favorite for those visiting the Golan. 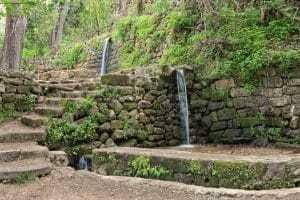 Hours can be spent at the Banias; walking the trails, exploring the ruins and picnicking in the lush green woodlands.